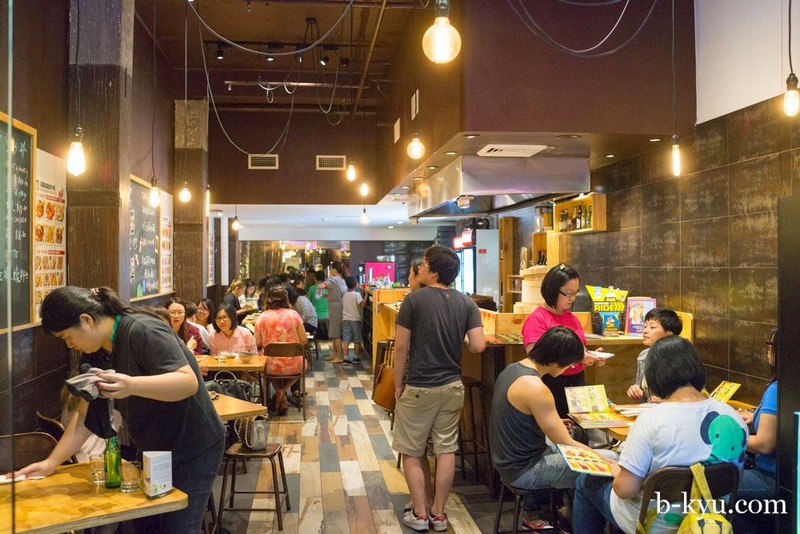 Bistro Hulu opened last year as a Taiwanese specialty joint but changed it's pitch and prices to get the punters in. We went nine months (and a blog name change) between visits and found it still going strong. Eating out as much as we do you think we'd develop some sense of what makes are restaurant work, and what doesn't. Nup. We have no idea. 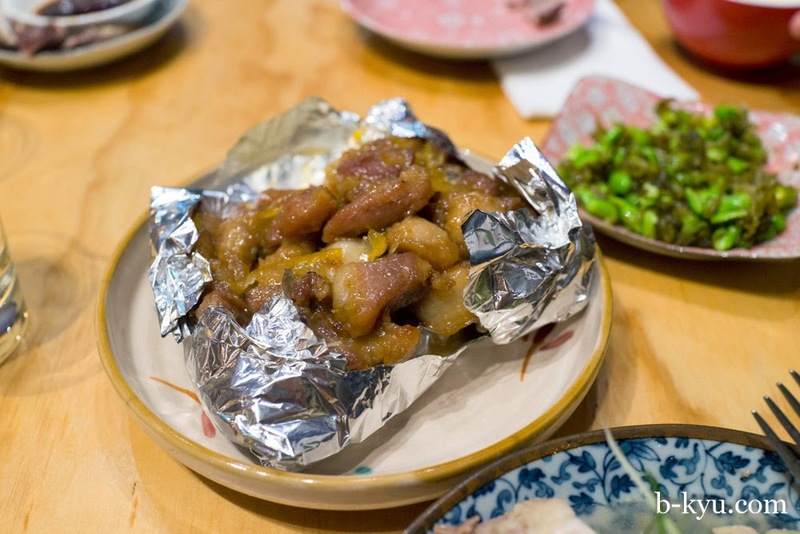 We sit down on our first visit to Bistro Hulu and get all girly excited as we read the menu: it's Taiwanese and full of dishes we've never tried before, like seafood tomato on rice crackers and cheesy pork cutlets. 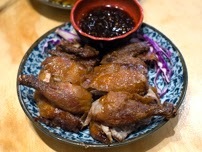 There's also a few old favourites like three cup chicken and kung po chicken. We're excited. We start to order and the manager tells of some of our wishes can't be granted as the menu is changing very shortly so they are purposefully running down on some items. He has to be the friendliest and most frank restaurant guy we've ever met. He tells us the menu needs tweaking as business as slow. 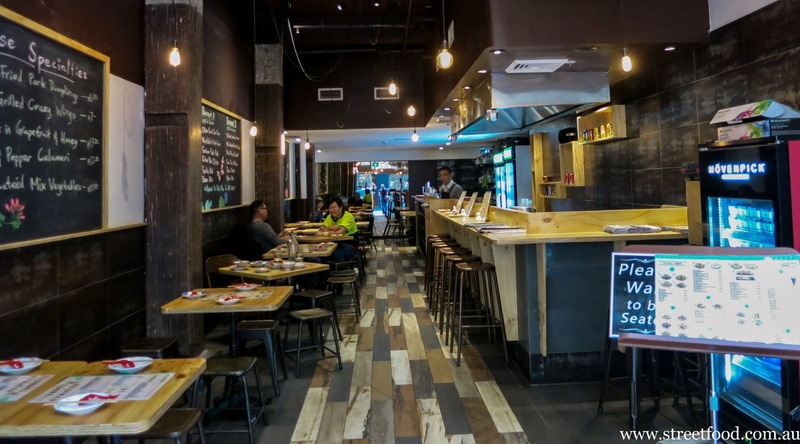 Sadly they have to drop most of the Taiwanese dishes as they aren't selling, the menu will be much more Cantonese in style to suit local demand. We order and our meal is fantastic and we're full as a boot for only $20 each for two mains and sides plus rice. Where is the Bistro Hulu love we wonder? We have no idea what makes a restaurant popular, we just like good food. We promised we would be back to try the new menu soon. It took us nine months to get back. Inside is fairly flash for a cheap'n'cheerful. There's seating close to the door which is breezy and pleasant on a summer night, or space for bigger groups and more quiet seating toward the back. The place is quiet on our first visit, probably why the floor manager was so jumpy about the future of the place. From our first visit here: Diced celery with peanuts - $3.80. The name pretty much says it all, except it's served cool with a gently flavoured translucent dressing. Szechuan spicy beef shank - $4.80. 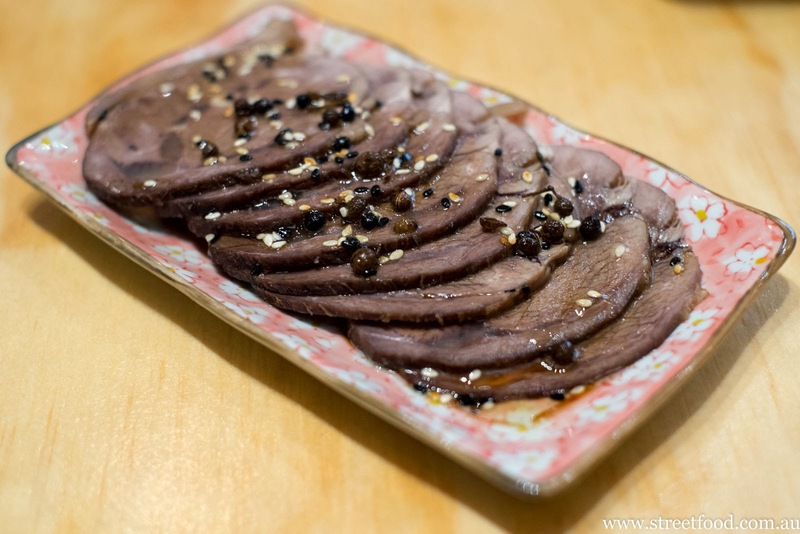 A cold side dish of sliced beef dressed with Szechuan peppercorns. Yum. Eggplant fisherman style - $10.80. 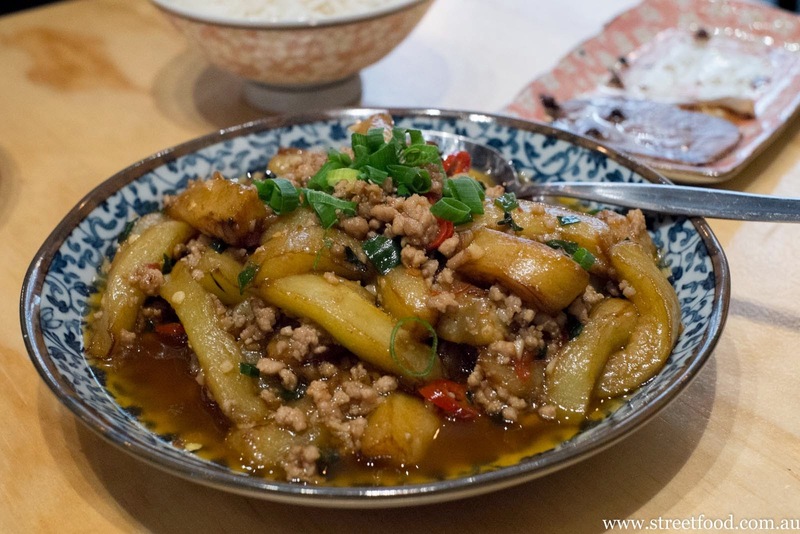 A homely dish of eggplant and pork mince. You can never go wrong with this combination. Crispy skin spatchcock - $16.80. We splash out and it's worth it. There's a surprising amount of flesh on the spatchchook and the skin is crispy as advertised. The dipping sauce is a winner, it's like a sweet blackbean jam. Except for the eggplant, none of these dishes were on the menu when we went back. We revisit Bistro Hulu nine months after our first visit and the place is jumping, it's great to see. The same friendly, matter-of-fact dude runs the floor, and does an excellent job of it. As the boss suggest on our last visit, the menu has skewed more to Chinese. 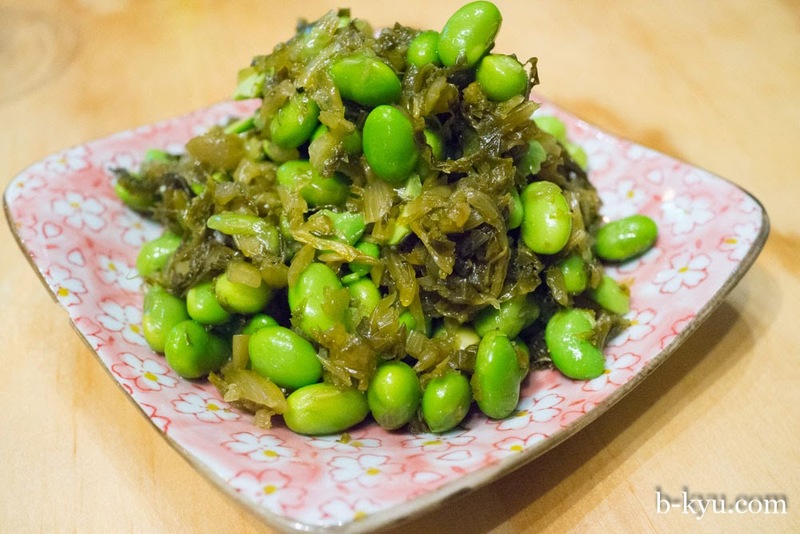 Pickled cabbage with peas - $3.80. 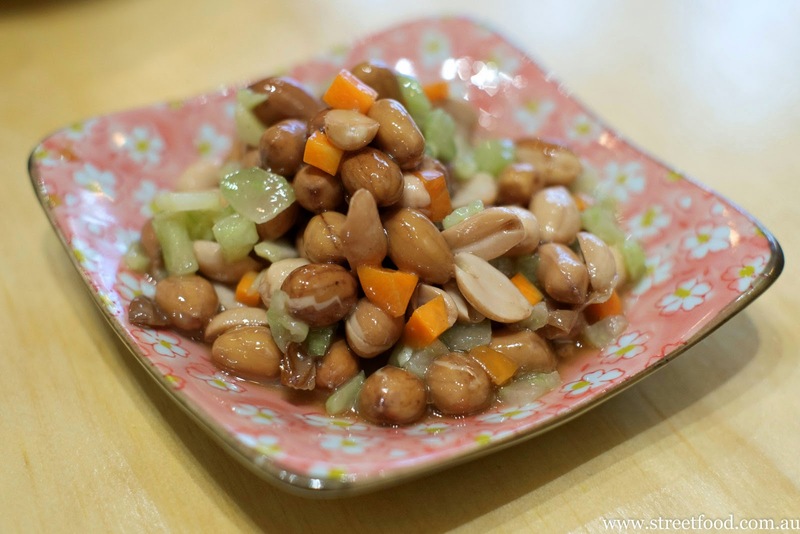 Soy beans given balls with pickled veggies. This is great snacking while you wait for the main course stuff, or to nibble as your meal settles and the conversation lingers. 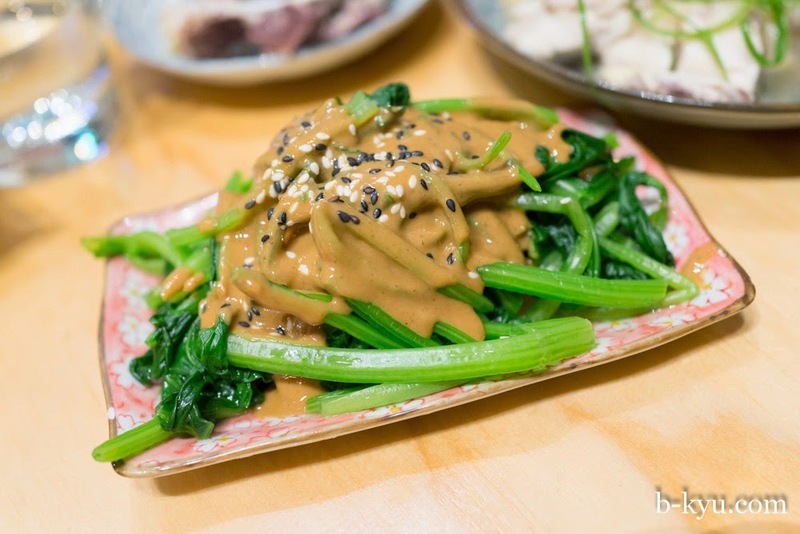 Spinach in peanut and sesame sauce - $5.80. Steamed spinach and sweet sticky goo, Popeye's idea of a good night out. 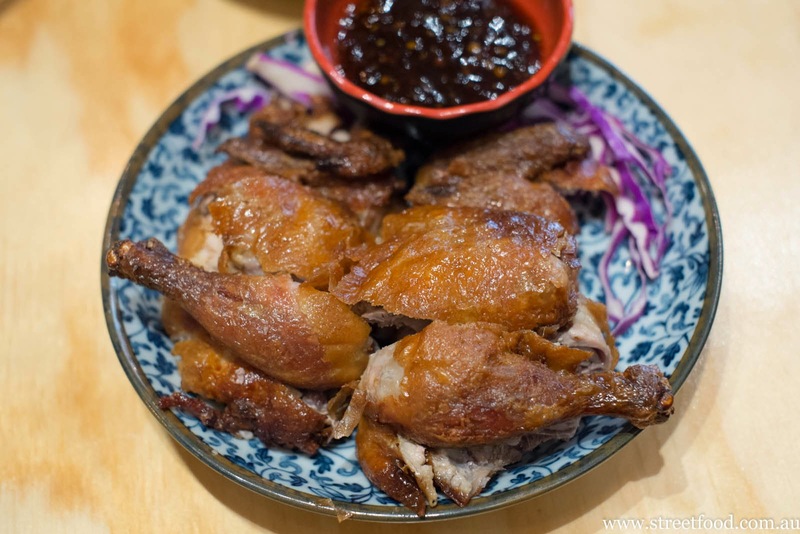 Hulu Specialty Steamed Salty Ginger Chicken - $16.80. 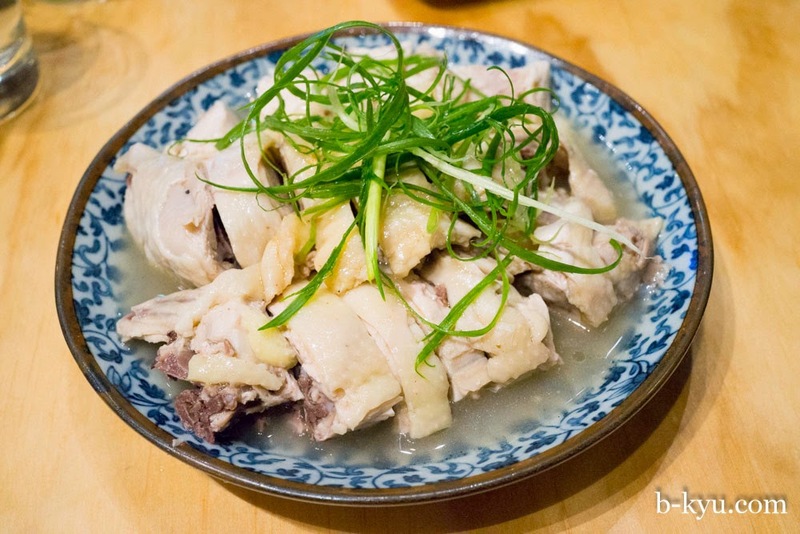 One for serious steamed chook fans, it has a plain, almost herbal flavour to it. The chicken skin had a slight yellow translucence from the fat just underneath. One boney bugger too, lots of small bones to work through. Pork Ribs in Grapefruit & Honey - $14.80. Served covered in foil and split apart at the table for a little bit of show. The meat falls off the small ribs, there's small morsels of meat that are pure little sweet nuggets. The shiny honey sweetness is cut just right with a bitter marmalade kick. It's sweet'n'sour for grownups. We're looking forward to trying out the lunch specials, a completely different menu to dinner. Perhaps in another nine months time. 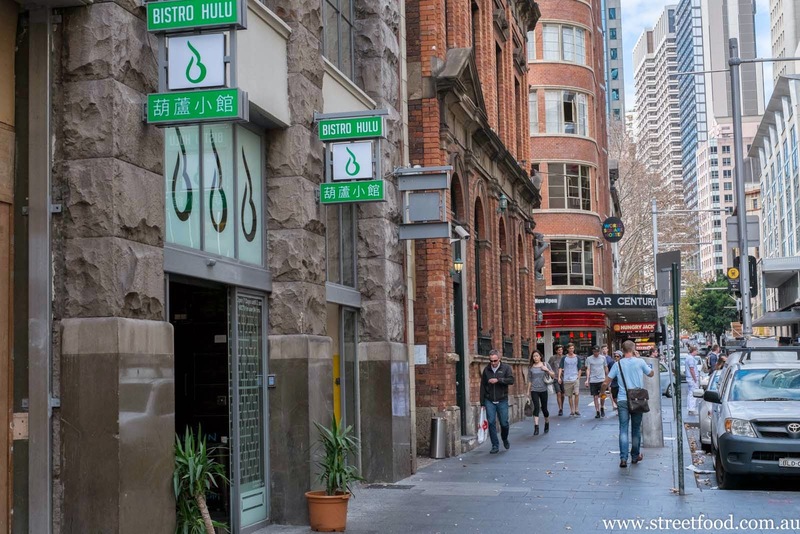 Bistro Hulu is the Kent Building on the site of the old Spanish Club, 88 Liverpool Street, Sydney.